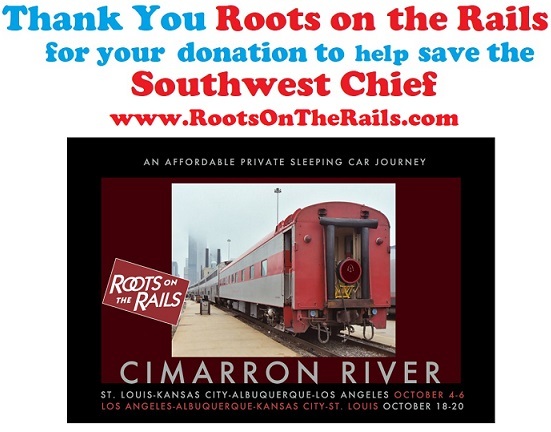 Thank You to Roots on the Rails for being the first sponsor of our upcoming special event. We are in the planning stages of a fall meeting to support Southwest Chief preservation. 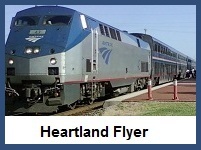 The Southwest Chief must survive if we are to have any chance of preserving hopes for Heartland Flyer expansion north of Oklahoma City with stops in Edmond, Guthrie, Perry, Ponca City, Arkansas City, Wichita, Newton, Emporia, Topeka, Lawrence, and Kansas City. Roots on the Rails is a unique experience, combining live musical performances with private rail car luxury. Take a trip with them in the future! We plan on doing so soon. On April 4, 2018, Bob Johnston, of Trains Magazine reported on a new challenge for Southwest Chief service. In his article, Amtrak contribution to a 'Southwest Chief' grant comes with conditions Johnston describes how new Amtrak management has decided to withhold a promised $3 million match for a Colfax County, New Mexico USDOT TIGER IX Southwest Chief Route Stabilization award. Amtrak's match is contingent upon the states of Kansas, Colorado, New Mexico and other partners developing a financial strategy to fully fund Southwest Chief route repairs. The TIGER grant was awarded by the USDOT in early March. The conditions are unprecidented and indicate Amtrak's new mangement is sour to not just the Southwest Chief but long distance services in general. In response, on May 31, 2018, US Senator Martin Heinrich issued a bipartisan, bicameral letter to new Amtrak CEO Richard Anderson, condemning the decision to withhold the matching funds. The letter also requested a meeting with Amtrak CEO Richard Anderson. Signing members from the Kansas delegation include US Senator Pat Roberts (R), US Senator Jerry Moran (R), and Representative Lynn Jenkins (R). We thank all of the US Senators and US Representatives who co-signed this letter. We encourage you to contact their offices with an email of thanks as well. On June 8, 2018 US Senator Tom Udall upped the ante by amending a bill calling for Amtrak to staff at least one agent in each state the carrier serves. The amendment is intended to ensure the Southwest Chief has access to necessary funds to continue its operation. We will keep you posted. 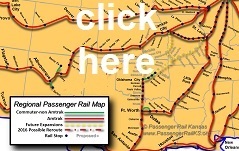 Join Passenger Rail Oklahoma's mailing list at EvanStair@PassengerRailOK.org for official membership news. Join our Southwest Chief Facebook Page! Join our Passenger Rail Oklahoma Facebook Page! 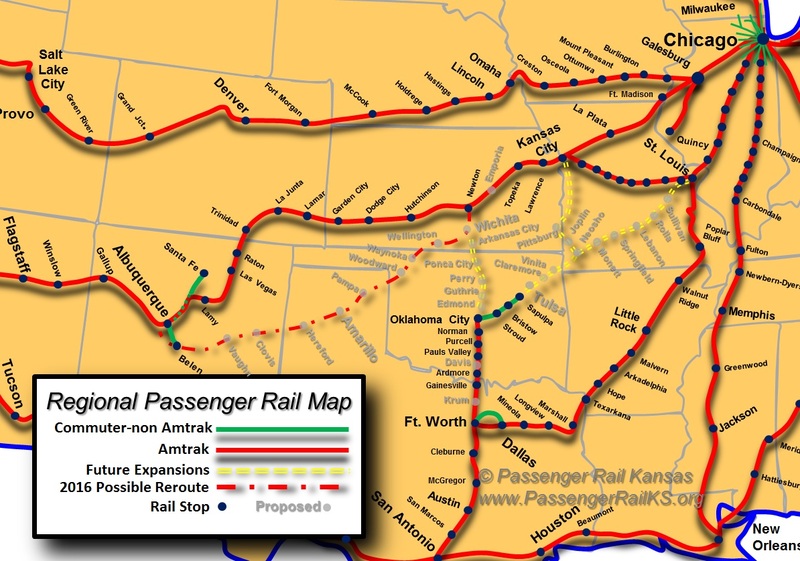 Join our Passenger Rail Kansas Facebook Page!